We believe VCs as well as founders need to keep learning from each other. In this category of posts, we create a hypothetical challenge, then ask founders and VCs to share with us what they would do if they’re in that situation. Your contribution is essential to build a library of challenges that help founders in tough situations. So you worked hard to close that investment round, you got the lead VC partner you wanted as a board member because you know he/she will add great value, and he/she is as passionate about your industry as you are. But Suddenly, only few months after closing, he/she leaves! How would your startup be affected? 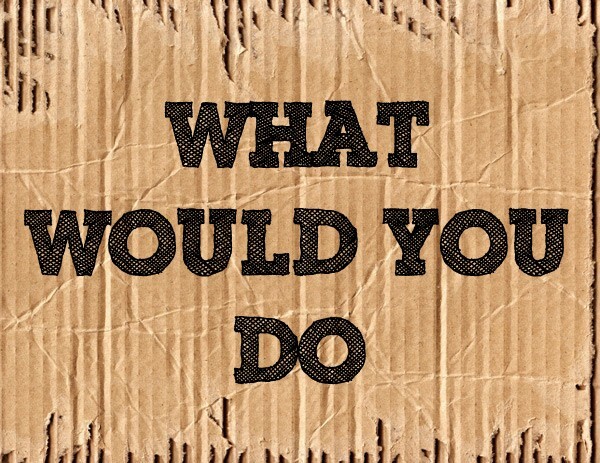 and What would you do? The board seat belongs to the firm, not to the partner. So the firm will typically assign another partner to set on your board, or worse, a principal or an associate who might not be an expert in your specific industry. The new board member’s reputation won’t be affected if the company does good or bad, he/she can always blame the previous partner who approved the deal! Other partners might not give much attention to the company or fight for it in partners meetings as they are busy with their own portfolio. The leaving VC partner might still be interested in the company’s success because it still counts in his/her own track record. Potential investors might question the situation and think twice before investing in the next round because the main lead investor left the deal. We asked this question to few founders and VCs, and they gave different answers, we hope this helps if you happen to be in a similar situation. If the firm has a track record, then before making a decision the founder should do a due diligence on the other partners and maybe contact startups that are led by the replacing partner. You never know- the replacement might be a better fit! That said, many entrepreneurs accept investments from a VC but then they get surprised that post investment the lead is not the same person who closed the deal. So the entrepreneur should be careful and blunt about the choice of deal lead before signing the term sheets. If this happens after the deal is closed already, I would ask the leaving partner to recommend his/her own replacement. He/she knows the team better and can assess the available skills of other partners or even principals who can add real value and fight for the company internally. If the departure was on good terms with the firm, I would keep the leaving partner as an observer or advisor on the board if possible. This will help reduce the risk of potential investors (in the next round) questioning the commitment of existing investors. However, if the departure was on bad terms, it might not be possible to keep the leaving partner on the board. So I would be very transparent with the firm’s partners about how this might affect the company’s future if none of the existing partners have expertise in my industry, and I would push for more external board members to join the board. We all have to have a Plan B. So, when choosing a firm, the founders should not base their decisions solely on a specific partner. The VC team together has to be able to add value, and there should be enough competent people in the firm who can take over from the leaving partner. It’s a risk equal to what VCs take by investing in startups: what if the CEO — Founder leaves the startup right after the deal is closed? VC usually mitigate this risk by investing in teams not solo founders. Let us know what you would do, please enrich the discussion with more solutions to help fellow founders who might be in a similar situation.